Technology is the highly changing factor in the globe and changes the world as it changes. Before the solid-state drives (SSD), there was an infatuation related to non-moving storage dating back to the beginning of personal computing, involving the bubble memory flushing technology, which had died in the 1970’s and 1980’s. The current flash memory is just but an extension of the same idea. The role of the flash memory is to store data and require no constant power to retain this data. SSDs have radically changed by upgrading from one series to another since their beginning. This article chronologically discusses the history of the SSDs. The journey of SSDs development began in 1950s. During this time, it had two similar technologies; card capacity read-only store and magnetic core memory. These memory units emerged while the vacuum-tube computer generation was the talk of the day. It was not until the coming of the low cost drum storage components that their use ended. By 1970s and 1980s, with a major change in technology, SSDs experienced a major wave of implementation in the early Cray, IBM and Amdahl supercomputer’s semiconductor memory. However, due to their high prices, people used them rarely. Most of instruments produced during this time contained an electrically alterable ROM, which shared most of its characteristics with the NAND (a type of flash memory). Unfortunately, this memory could not stand the test of time since it could not achieve the ten-year life thus leading to its abandonment by most companies. The urge to have faster, but cheap high capacity SSDs grew leading to technology taking a different and sharper direction, which left many amazed (i.e. in the 1976). In the late 1970s’, a renowned computer company, Dataram, introduced a product by the name Bulk core, which provided up to a 2MB capacity. Its compatibility was amazing: it was compatible with Digital Equipment Corporation as well as Data general. In 1978, another company, Texas Memory Systems developed a higher capability SSD (a 16 KB ram SSD), majorly embraced by oil companies in the process of seismic data acquisition. In the consequent year, Storage Tek Company did a pilot RAM SSD development. Later in 1983, a 128 KB SSD cartridge, Sharp PC-5000, came up and had a bubble memory. After this high tech SSD series upgrade, Tallgrass Technologies Corporation added on it by developing a tape backup unit with a 40 MB capacity and a solid state 20 MB unit. This 20 MB unit could be used in a computer like any hard drive. Many companies began adding up to these innovations, with Santa Clara Systems coming up with the BatRam, a 4MB mass storage with the capability to expand up to 20MB with the aid of a 4MB module. In addition, it stored charge to ensure safety of data in the event that the array lacked power supply. Crowning the list of innovative companies was the EMC Corporation in 1987, which developed SSDs compatible to mini computers. Even though its penetration in the market was slow, by 1993, its SSDs had garnered a wide embrace in the global market. The first SSDs (currently referred to as primary drives) came into place during the rise of netbooks, in the 2000’s. Substantially, in 2007, the OLPC XO-1 used the 1GB SSD, with the Asus Eee PC 700 series using a 2GB one as primary storage. For the Eee PC units, the SSD chip had a permanent fixed position on the motherboard. The capacity of the SSDs rose with the increase in netbook’s capability. It became possible to replace a 2.5 inch Hard Drive (HD) with an SSD. With changes in overall technology, the DIMM-like SSDs mSATA (mostly used in Apple MacBook Air) and the miniPCI SSD card emerged. The capacity of the 2.5 SSD is now at 1TB, and it is obvious that they will keep on upgrading with time. Comparing SSDs with HDs, there have been little changes on HDs than SSDs since their beginning. According to technologists, SSDs have changed widely. output performance. 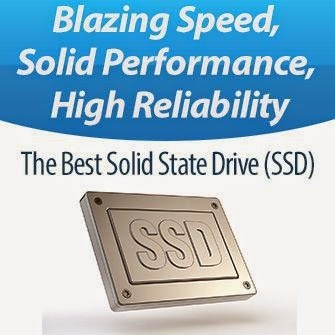 Many performance laptops, desktops or any application that requires delivery of information in real time or near real- time today, have benefited much from the SSDs. Before, the SSDs were more expensive compared to the convectional hard drives. With manufacturing technological improvements and expansion of chip capacity, however, prices have reduced making the best choice for many other than the convectional storage. In recent years, SSDs have become very popular and has a wide range of applications. It is vital in enterprise storage to speed up application and performance without incurring the cost of additional servers. The best use is to employ the as “super cache” in SAN, speeding up access of the frequently accessed applications. As for personal computers, many storage device manufacturers already targeted this market segment and kept producing and developing consumer-grade SSDs aimed at computer enthusiasts and ardent gaming guys. We’ve made our special list of the fastest and best solid state drives available out there to make it easy for everyone who’s in search for the best of these speedy drives for their computers.